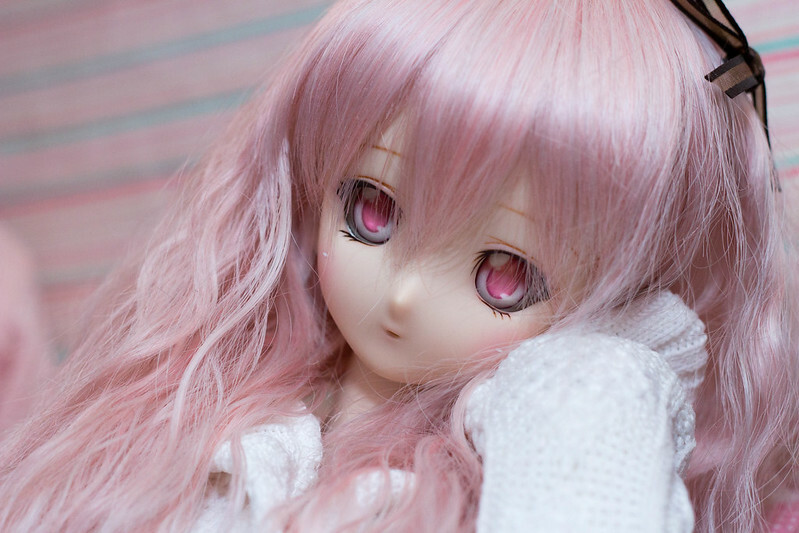 Saku (サク or 桜[さく]) is a Volks Dollfie Dream Uryuu Sakuno (瓜生桜乃). Her model was released at Home Town Dollpa Osaka 6, which took place on August 1, 2010. I was fortunate enough to attend the event, but did not acquire her there. I entered the Volks USA lottery which opened up shortly afterwards and was lucky enough to win the chance to purchase her. 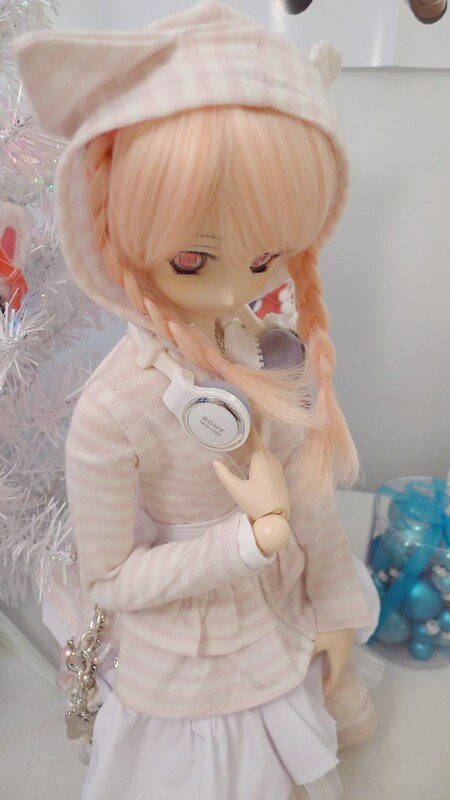 Saku arrived at my home in October, and immediately underwent customization. Her hair is a customized Leekeworld wig with extensions in PeachPink. 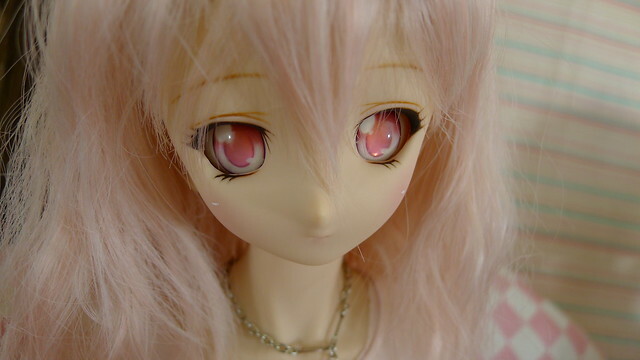 Her eyes are Volks Animetic Type I in Madder Red (AKANE). They’re very shiny and pink in person. Her makeup has not been modified at all. Hair is a styled wig from Mandarake (I forget the brand). Hair is a Leekeworld wig in MistyRose (limited color). I get my dolly clothing from a variety of different sources, but I’m happy to answer any questions regarding what she’s wearing. As I occasionally purchase items that are very limited in quantity, please understand there’s a chance you will not be able to buy an identical item. 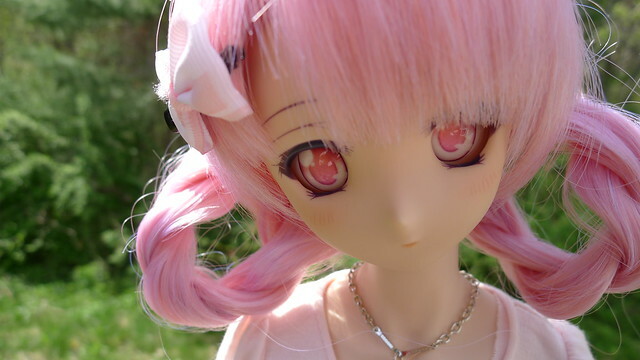 Additionally, unless I am explicitly selling something, I have no plans to sell any doll items I currently own, so please understand this and refrain from asking ^^ The only exception to this rule is if I happen to make something and you’d be interested in having me replicate it for you. I cannot guarantee I will be able or will want to do this, but you’re welcome to ask. 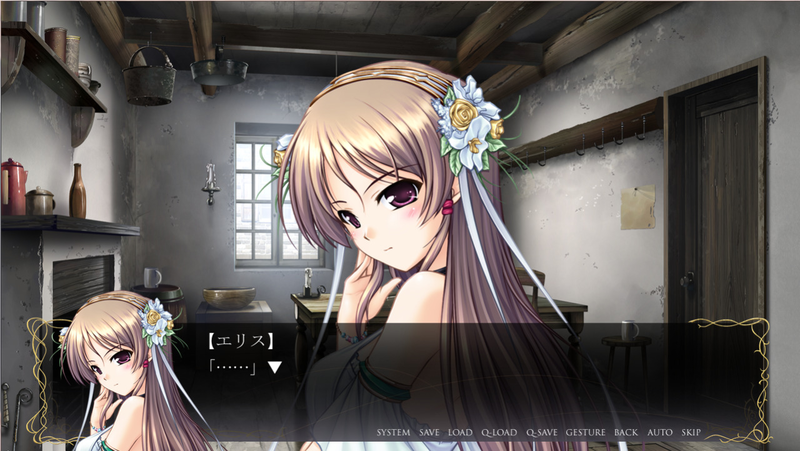 Any questions regarding Saku can be asked here, on any post about her, or via my twitter account. 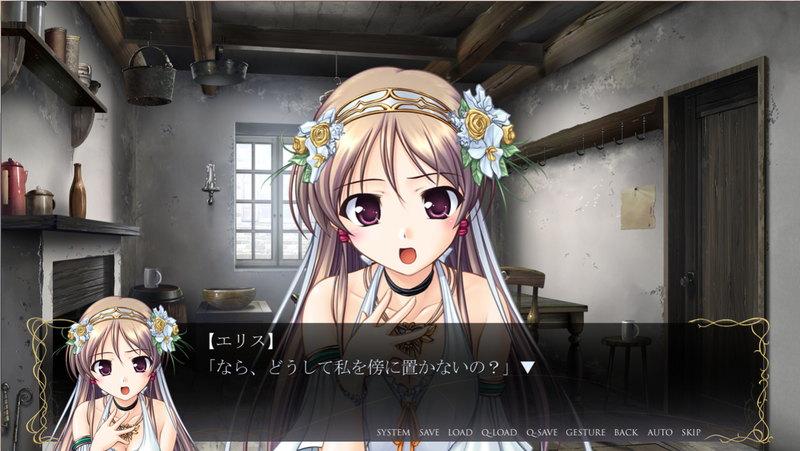 All posts with Saku are tagged sakuno-桜乃.